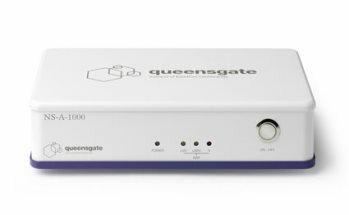 Queensgate Instruments – an Elektron Technology brand – is to introduce three exciting new nanopositioning products at this year’s Laser World of Photonics in Munich, Germany, from the 13th to the 16th of May. Visitors to Booth B2, 552 will discover Queensgate’s latest family of low voltage Digital Piezo Translators (DPT), a range of state-of-the-art closed loop piezo actuators with integrated capacitive NanoSensors®, the new NS-A-1100 Sensor Controller, a single channel interface that supports the Company’s NX Series of NanoSensors®, and the newest digital controller NPC-D-5110DS with Dual Sensor TechnologyTM for fast and precise positioning. 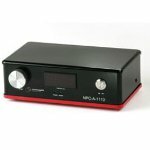 NS-A-1100 Sensor Controller by Queensgate Instruments.